When older people move into a rest home it becomes their home. They get to know the staff and other residents. They hopefully feel safe and happy there. Their family and whānau also get used to a place, and rest home staff grow fond of the people they are caring for. But as time goes on an older person may need more care to look after themselves physically, or they may develop memory problems and dementia. They may need to move to another rest home or hospital to get that care. When this happens they need a special assessment to find out what care they need, and where they can get it. This is called a reassessment of level of care. This page explains how that is done, and why it may be happening to your loved one. When is an older person reassessed? 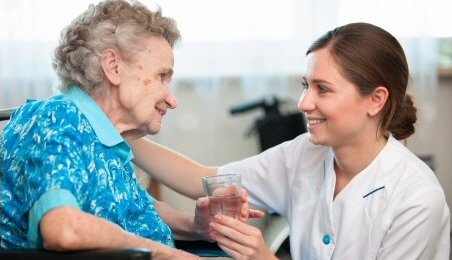 Rest home staff constantly assess all residents to make sure they are getting the right care, staff can look after them safely, and other residents are also safe. They will talk to you about what these assessments show. When they can no longer safely look after a resident, the rest home staff or the person's GP will ask for a reassessment of level of care.This is done by a person from a specialist hospital team. The reassessment will focus on the person who needs to move, looking at what they can and can't do. The person doing the assessment will listen to what you think and feel about what your loved one needs. People may feel sad or angry when it's suggested they need to move. It's normal to feel this way and the person doing the reassessment understands. But it isn't always possible to come up with an answer that everyone is completely happy with. What happens during a reassessment? Once they decide to ask for a reassessment, rest home staff or your loved one's GP will talk to you and explain why they are doing this. The hospital staff member who will do the reassessment will read the latest staff assessment of the person, so everyone know what the issues are. There may be some delay before the reassessment happens. However, it can happen more quickly if the situation is urgent. The actual reassessment will happen at the rest home where your loved one is living, and at a time that suits everybody. You will be invited but you don't have to attend. The person doing the assessment will talk to staff and to the older person. You will have a chance to talk to them in private if you wish. The assessor will then return to the hospital and discuss the case with their colleagues, including a senior specialist doctor. After this, they will make a decision about what to do next. If you weren't able to attend the reassessment, the person doing it will call you afterwards and discuss the outcome. Not every older person who is reassessed has to move immediately. The assessor may suggest trying something new, such as changing medication or managing problems in different ways, to avoid the need for a move. If these suggestions help, your loved one may be able to stay where they are. However, if the changes don't work well, they may need to move. When a final decision is made that your loved one needs to move to a place where they can receive a different level of care, the assessor will tell you and the rest home staff. 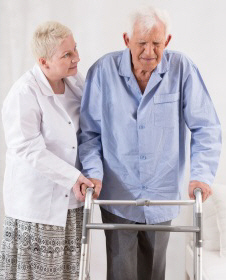 Your loved one may be able to move to a different area in the same rest home if the right level of care is available. If it's not, they will have to move to a different rest home. The assessor will complete all the necessary paperwork. A different member of the hospital team, called a service coordinator, helps with the move itself. They will also help you with any questions you may have. Once it is decided that your loved one has to move, they need to do so as soon as possible. You will need to look at other places and choose one that is suitable. You may find a place that you really like but which has a long waiting list. It is not OK to leave your loved one where they are while you wait for a bed to become available. You may decide to choose another place that offers a suitable level of care and then move them again when a bed at your preferred place becomes available. After a reassessment of an older person's level of care, family or whānau may not agree with the decision. You can discuss your concerns with the assessor and ask any questions you have. If you still disagree you can ask for a second opinion. If an older person moves, will it cost more? Older people who receive care in a residential complex either pay the entire cost privately or receive a government subsidy. The cost of care is different in different parts of New Zealand. Even if your loved one needs a higher level of care and is paying privately, the amount they pay will not increase. The difference in cost will be paid by the government. All rest homes and hospitals offer standard rooms and services. Many facilities also offer extra services and features in some rooms, such as private en suite bathrooms. The rest home or hospital can charge for these extra features, and the cost will vary a lot. You will have to decide whether it is worth paying for these extra features. You will also need to know what happens if you can no longer pay for them. Seniorline (see below) can offer useful advice about premium charges. Phone Age Concern Canterbury: (03) 366‑0903 or freephone 0800‑80-33-44. You can find information and advice about rest homes and other retirement facilities under Housing and care. If your loved one needs help with mental health issues you can contact this service through the Adult Community Referral Centre on the phone number given. This website has information about rest homes and residential care, including a directory of what's available in your area. This unit can answer all questions about residential subsidies. Written by senior medical officer, Older Person's Mental Health, Canterbury DHB. Adapted by HealthInfo clinical advisers. Page created July 2016.